Massive supercharged V8s, ridiculous horsepower figures, and the wholesale genocide of rear tires: Australia's Holden Special Vehicles does these things extremely well. But what are they to do with the end of General Motors' unique Australian market cars in sight? HSV could come to America, where plenty of people still appreciate good V8 shenanigans, according to this report in Australia's Motoring. HSV is a joint venture between GM and Walkinshaw Performance. 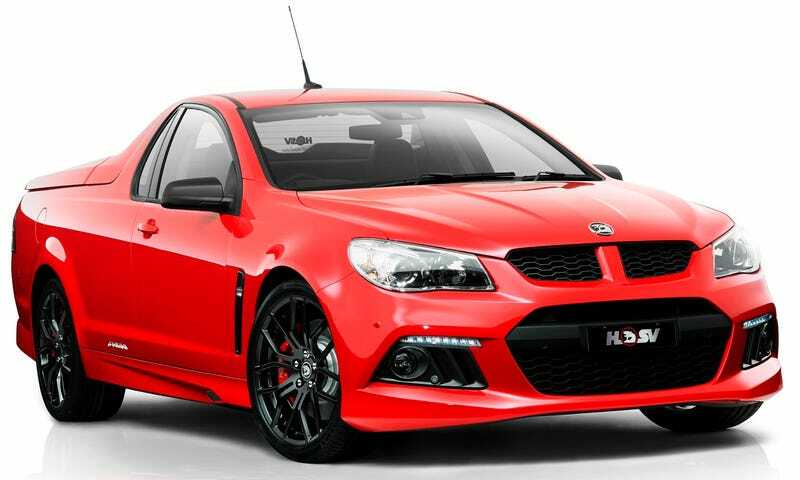 But with an end to Holden manufacturing slated for 2017, HSV will lose its core cars, particularly the Aussie-built Commodore we now get as the Chevrolet SS. "We think something like that (CSV) could work," Walkinshaw told motoring.com.au. "It depends on what products are available. It's going to depend on the discussions with GM going forward. There's a lot of factors we have to take into account. "But I think we are pretty confident in what we do. "We know we could deliver some pretty good products outside what we do with Commodore in Australia and we have proven that plenty of times before with our history and with what we are doing currently for other manufacturers." Sweet. Motoring notes that cars that Holden, er, Chevrolet Special Vehicles could want to get their hands on cars like the next-generation Chevrolet Camaro and the U.S.-made replacement for the Chevrolet SS. I'd love to see them do up a Cadillac ATS or CTS too. All those cars will use the same GM Alpha platform developed in Michigan. It may not be that far fetched. GM global product chief Mark Reuss and a few other execs came up at Holden, and they all have good relationships with HSV. Come to America, Holden Special Vehicles! We'll give you a good home, show you all the good roads for hooning, and teach you how you've been wrong about football for all these years. Feel free to bring some utes with you if you're so inclined.